This booklet provides the Rules & Regulations set by the CPSA for the running of the sport in England. A must for all members. To download a copy, click here. The CPSA Board of Directors have approved the following rule changes since the publication of Booklet Number 1 dated 16th April 2018. Please ensure this addendum notification is taken into account when referring to the CPSA General and Technical rules. Click here to read. The CPSA Board of Directors have approved the following rule changes since the publication of Booklet Number 1 dated 12th August 2015. Please ensure this addendum notification is taken into account when referring to the CPSA General and Technical rules. Click here to read. The CPSA Board of Directors have approved the following rule changes since the publication of Booklet Number 1 dated 12th August 2015. Please ensure this addendum notification is taken into account when referring to the CPSA General & Technical Rules. Click here to read. The CPSA Board of Directors have recently agreed the following advice to Referees in the event of a Misfire. Click here to read. This booklet contains general advice on how to run smaller events - generally what would be referred to as 'straw bale' shoots. This booklet is available free from CPSA Head Office or download your copy by clicking here. 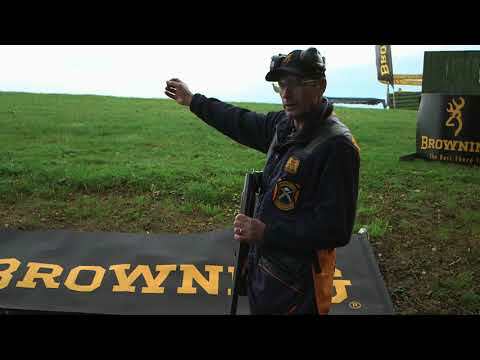 This booklet gives a very general guidance on how to form a new Clay Pigeon Shooting Club and is available free of charge from CPSA Head Office or download by clicking here. To download a copy of our 2017 Annual Review booklet, click here.